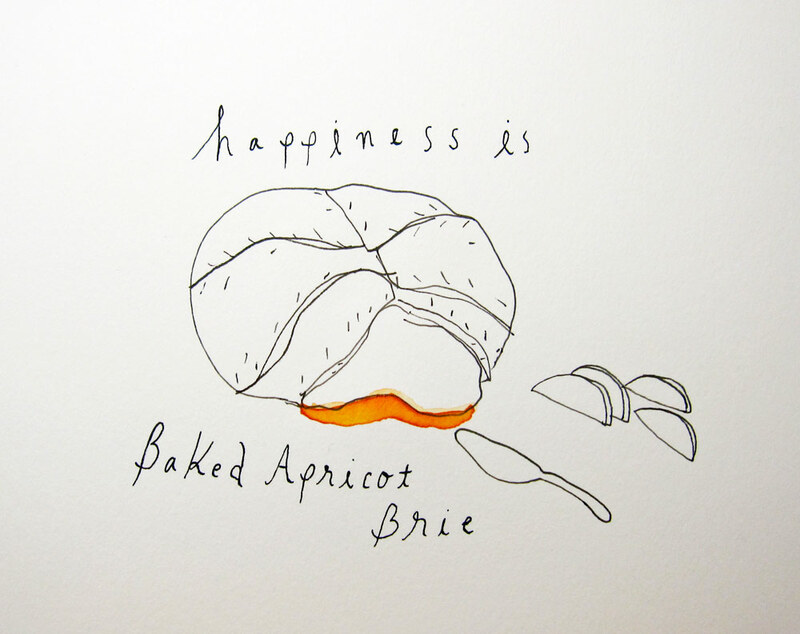 Happiness is baked apricot brie. This may be the queen of all baked brie. Now that sounds absolutely amazing! I love the single splash of colour. I’d love the recipe. Baked Brie is our favorite, but we’ve never added fruit. I’m loving your artwork. The sparse color is a trademark for you and the lettering is always interesting! Happy holidays! Sandy Haight Fine Art Web Site: http://sandyhaightfineart.com Art Blog: http://sandyhaight.com/blog Please Subscribe!